Advanced Home Support does more than provide in home care services. We Connect with Families. Many of our consultants have elderly family members who are facing their own home care challenges; such as, Alzheimer's, MS and ALS; so they can relate to your elderly home care needs and feelings in addition to giving you the facts about home care services in Montogmery County, Maryland and Washington, DC area..
You'll feel secure, knowing we'll introduce you to home care providers of the same high quality we'd give our own elderly parents, who need in-home care services. Caring, trusted professionals home care providers who are well-groomed, well-mannered, and have the confidence that comes with experience. Moreover, we'll consider your loved one's preferences and personality to find the perfect match for your in home care needs. A person with Alzheimer's disease will gradually experience difficulties with personal care. At first the individual may need only prompting or a little help, but eventually home caregivers will become responsible for all personal care tasks. This can be very difficult for the person with Alzheimer's and may signify a loss of independence and privacy. 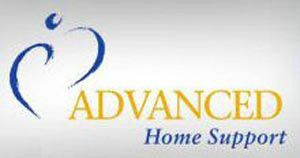 Advanced Home Support is currently hiring C.N.A.s and G.N.A.s, to provide Home care in Montgomery, Prince George's, lower Howard and Frederick Counties as well as the District of Columbia. You must have a car and valid driver's license. Live-in Companions are needed for all areas of home care services. Car not necessary. Advanced Home Support is looking for L.P.N.s to work on a PRN basis to perform medication administration, wound care, ventialator care, and other nursing duties. Flexible hours. Advanced Home Support is an Equal Opportunity Employer.